Asher Lev is a Ladover Hasid who keeps kosher, prays three times a day and believes in the Ribbono Shel Olom, the Master of the Universe. Asher Lev is an artist who is compulsively driven to render the world he sees and feels even when it leads him to blasphemy. 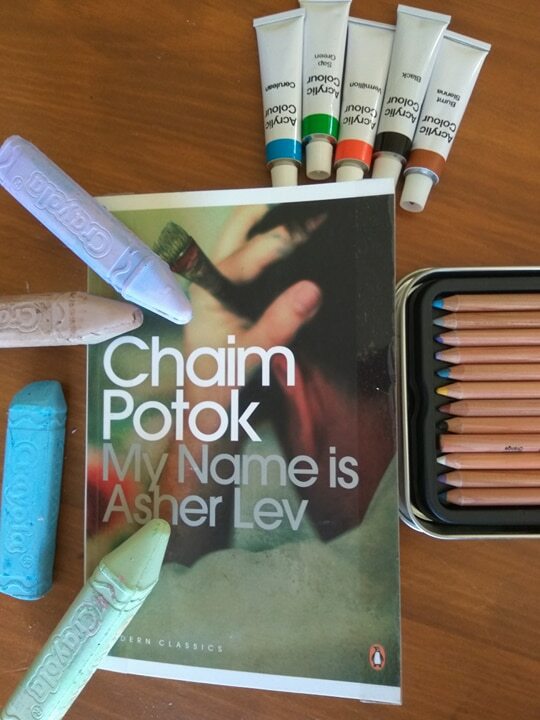 In this stirring and often visionary novel, Chaim Potok traces Asher’s passage between these two identities, the one consecrated to God, the other subject only to the imagination. Asher Lev grows up in a cloistered Hasidic community in postwar Brooklyn, a world suffused by ritual and revolving around a charismatic Rebbe. But in time his gift threatens to estrange him from that world and the parents he adores. 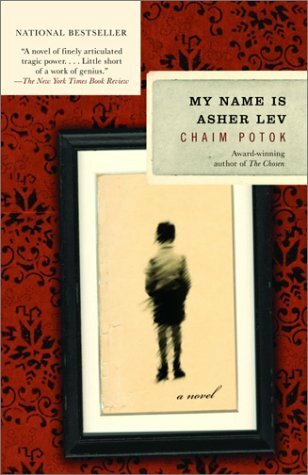 As it follows his struggle, My Name Is Asher Lev becomes a luminous portrait of the artist, by turns heartbreaking and exultant, a modern classic. Asher is one of those kids who was clearly born with a wonderful gift. From the time he was old enough to hold a pencil, he's been drawing, sketching and painting, because artistry is part of his make-up. But to his parents, who are strict Orthodox Jews, he's a puzzle, an embarrassment, and at times a threat. They simply can't understand what drives him, and even wonder whether Asher's genius has a dark source. Aryeh Lev, the dad, is loved by his people for his tireless humanitarian work overseas, building yeshivas and assisting fellow Jews to safe spots. Aryeh can't see the point of art, which has no practical purpose in his world view. To him, Asher's passion is 'at best a frivolity, at worst a desecration.' His demands for Asher to stop the foolishness is like trying to prevent a bird from flying. Aryeh keeps trying to clip his son's wings, under the illusion that he's doing good. He's an easy main character to admire, just because of the strength of conviction it takes to figure out his own philosophy and stay true to it, in the face of such opposition. He goes from pleading with God to take away his passion for art, to sneaking around painting nudes and Crucifixes behind his parents' backs, to politely telling his father, 'I respect you, but not your aesthetic blindness.' The turning point is when it clicks in his own heart that his gift is no less important than his father's. It's not an easy book to read, even though we all love heroes like Asher, who refuse to be stifled. (I don't think he could have been, anyway. He would have simply sketched and painted out of shame and guilt instead of enthusiasm and conviction.) After Part 1, I was tempted not to continue, because the tale of his childhood was so melancholic, every turn of the page seemed to thicken the impression of darkness. I persevered just because I'd come so far, and suddenly Part 2 introduces us to the beach and plenty of light, where Asher is staying with his mentor, Jacob Kahn. It was such a contrast, I wonder if Potok wrote it that way on purpose. The story starts flowing much easier when Asher reaches adolescence, and then young adulthood. As a kid, his way of zoning out when his parents or teachers are talking to him gets annoying very quickly. I preferred him when he gained the confidence to have a ready reply. Overall, Chaim Potok makes it clear that the purpose of art is not to be enjoyable, so I guess that's also the case with his book. It's not the sort of light read you pick up to have fun and wind down, but well worth finishing just the same. Having said that, Asher's wry observations are fun at times. He reflects how he must appear to others, a boy with long side curls and a skull cap standing in the museum, sketching a picture of Jesus on the Cross. And I had to chuckle when he hoped God would take his own prayers more seriously than his father's. For Asher knew very well that Aryeh had been fervently praying that he'd lose his passion for art. So much for that one :) Father and son seem poles apart, but they're alike in that they give every ounce of strength to their occupations. The message that makes this a valuable read is not to deny our true essence, no matter what conflicting opinions we get from others. Ranking this novel is a challenge, because lots of it went over my head. I know it's a modern classic, but Chaim Potok obviously wasn't writing with readers like me in mind. People of the Jewish faith and those who understand art jargon might well give it five stars. Potok himself was an artist and Rabbi, so I'm not really on his wavelength. In fact, when Asher's parents explain why they don't want him to paint 'That Man' (Jesus), it's a real blood-chilling glimpse into where they're coming from. And the question of how far others should use artists in their own lines of work kept occurring to me too, especially when Anna the art dealer kept brushing off Asher's natural angst about how his family might react to any given piece of art. It was clearly nothing to her, as long as she could exploit his talent to fill her own purse. All this is a bit disturbing. It's a novel with no easy answers. I wouldn't be surprised if a number of readers agree with Asher's parents, that he did go too far at the end. I honestly can't make up my mind. One thing's for sure, if you sometimes wish you'd been endowed with special gifts or genius, this might help you feel glad to be an average Joe, as poor Asher kept paying such a high price for his gift. He certainly makes me thankful for the chance to be a more chilled sort of person. This is one of my favorite books! I like it in part because it gives no easy answers. It gives the suggestion that Potok was still wrestling in his own mind where the boundaries of art and faith confronted each other or merged. It is dark, as you say, but I think also very important in suggesting, again that art doesn't have to be pleasant. Hi Krysta, it's definitely one I won't forget, and I can understand why it's among your favourites. Now you mention it, I did share the sense that Potok wrote the book to help him figure out those dual sides of himself. I saw there's a sequel, The Gift of Asher Lev. Have you read it, and does it carry on the plot?